I can't believe that it's Easter! It snuck up on me this year! So much so that I honestly had no idea how I was going to decorate my Easter table until four days ago. 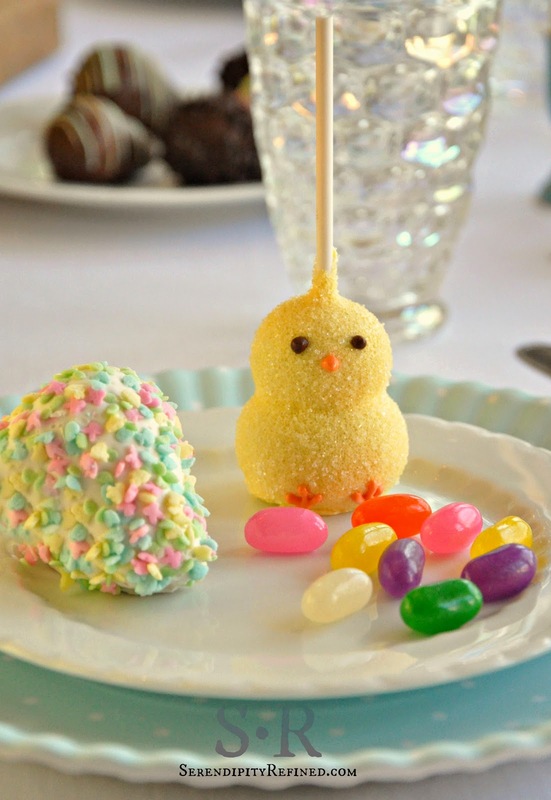 This year, my Easter table decorating is pastel colored...and edible! By the time that you read this, I'll be taking my youngest back to college and our celebration will be over for another year but I still wanted to show you what did in case you need a cute idea for next year. We actually celebrated Easter with my extended family (mom and dad, brother, sister and her family and my nieces and nephews) on Saturday this year because many members of our family had other commitments on Sunday but we always celebrate the holidays together. Since we have ongoing construction at the farmhouse this year, my mom and dad graciously offered to host everyone in their home. The table that you see in these photos is the one that I set for my immediate family for breakfast on Sunday. The sweets were packed up (except for the cake place cards) and taken to my parent's home to be shared. At the farmhouse, I kept it simple. The table cloth, napkins and plates were white. I added turquoise in the egg cups and polka dot salad plates and ribbon used to tie the napkins. 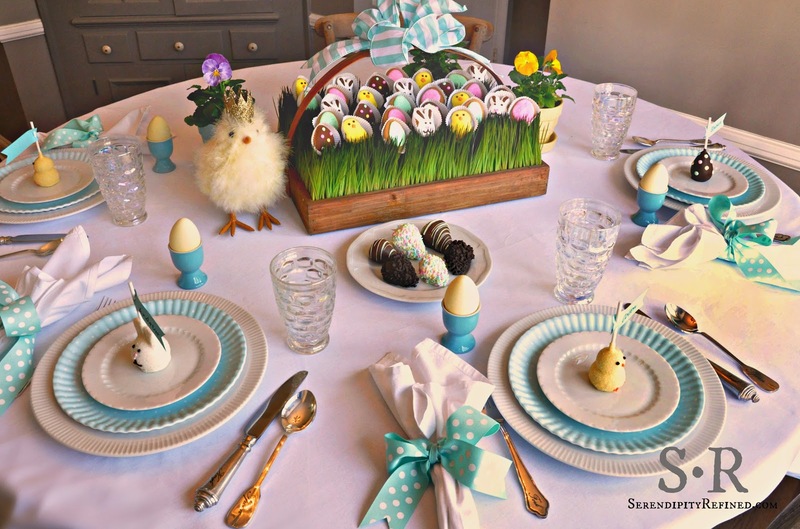 This year, rather than a floral centerpiece, I used pansies in vintage pottery and a faux chicken as accents but the remainder of the decorations on my Easter table were edible. 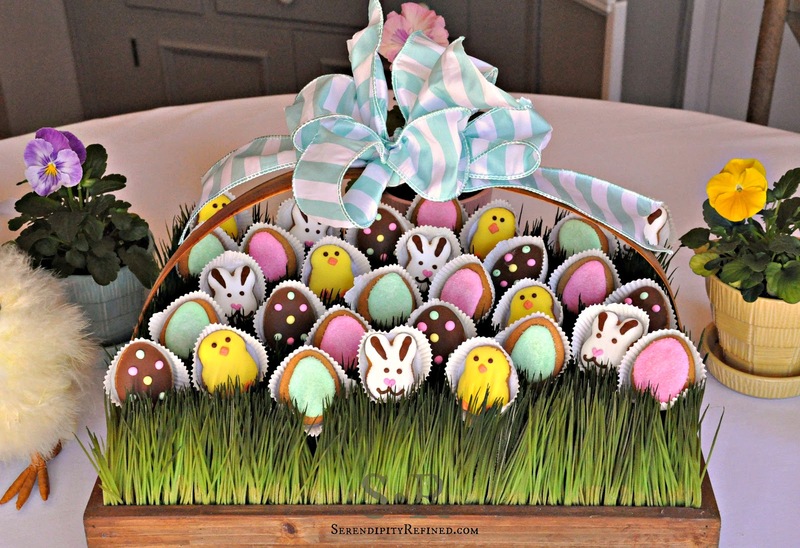 I filled a low basket with faux grass and added miniature cookies decorated with brightly colored Easter designs which I placed in the center of the table. 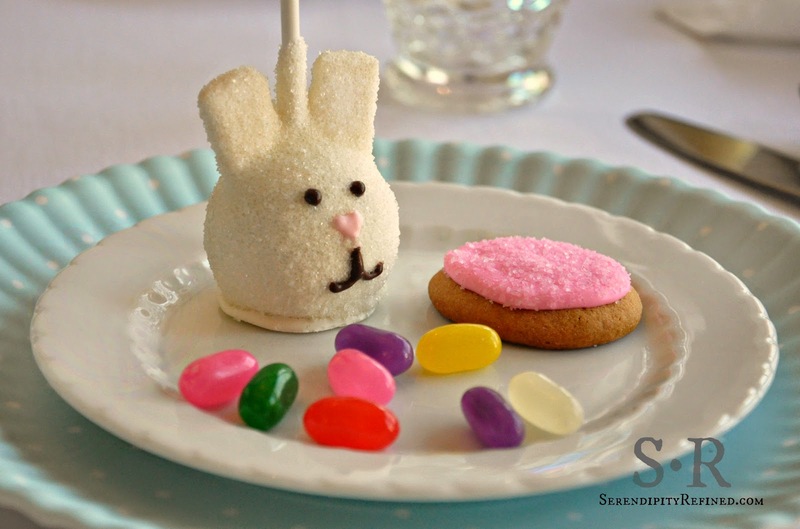 Using an Easter basket filled with colored eggs, cookies,candy or chocolate is a simple and inexpensive way to create a centerpiece. 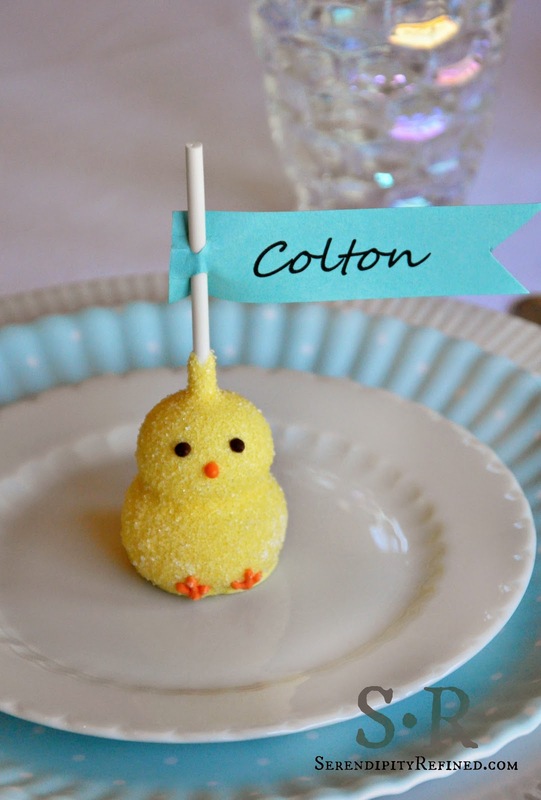 I also used cake pops as place card holders. There were chocolate covered strawberries decorated with spring colored sprinkles and cake pops shaped like bunnies, chicks and Easter eggs. Using edible decorations in my tablescape was a HUGE hit with all of my family; young and old alike. The cookies were "sampled" and the chocolate covered strawberries were devoured even before we sat down to dinner! The adults in the group agreed that the chocolate covered strawberries were the best that they had ever tasted but that the cake pops ranked a close second in popularity. Everyone agreed that the mini cookies went equally as well with milk as they did with coffee or tea. The younger crowd also loved the cake pops and cookies (with milk, of course). 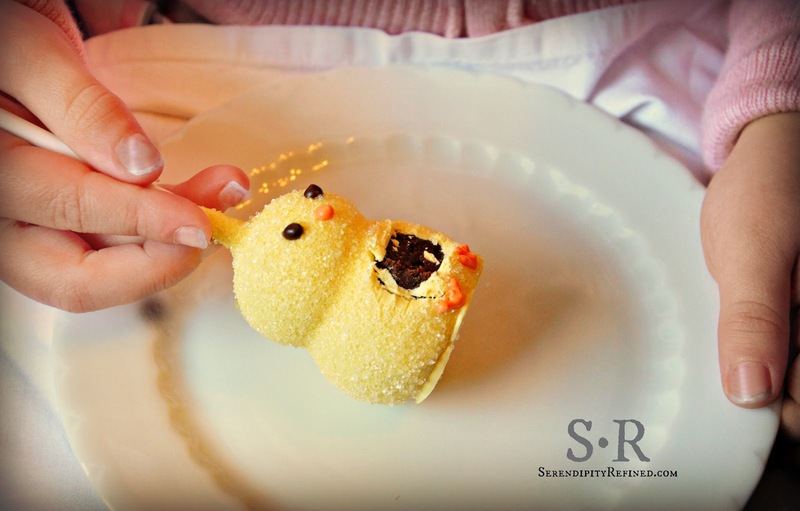 It was fun for me to watch as little eyes peered over the edge of the table and whispered to parents inquiring as to what the bunnies, chicks, and chocolate covered eggs were made of and how soon they could try them. and marveling at how quickly the "littles" are growing up. Thanks for letting me share my Easter table decorations with you on Easter! Sorry that I'm so late. 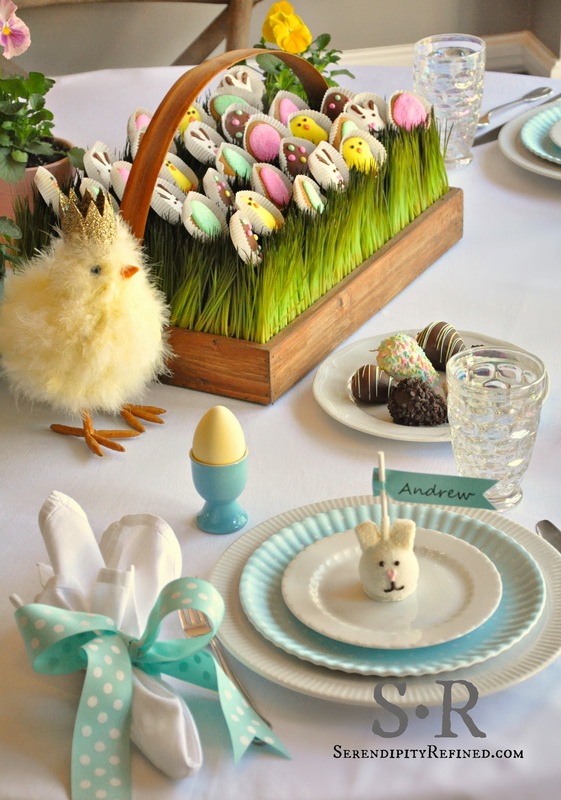 I have decided that edible spring Easter table decorations may just become a tradition in our family. I've never had so much fun chatting and laughing with my family....and eating the centerpiece! It truly was a sweet Easter at our home and I hope that you had a wonderful weekend too. 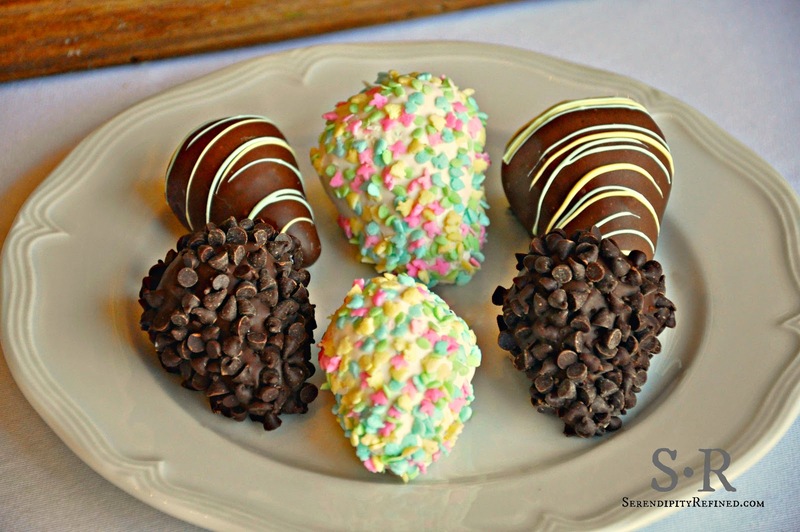 Disclosure: Shari's Berries provided the mini Easter cookies, cake pops, and chocolate covered strawberries in this post. 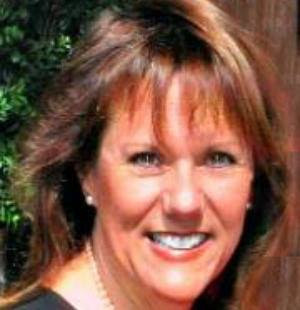 I have eaten Shari's Berries in the past and love them so I was delighted to share them with my readers. They have a wide variety of products and make a perfect gift for yourself or others. As always, I only write about products that I use myself and feel confident recommending to my family and friends. Opinions are 100% my own.